Charcuterie boards are a huge passion of ours. Fromage Friday was totally a thing at Geeks Who Eat Headquarters for a long time. That is until we got busy. 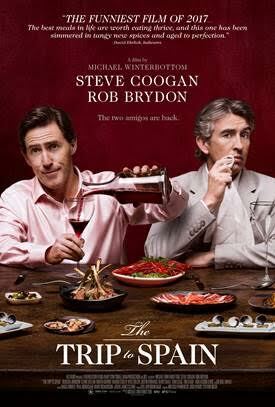 However, when we were approached to create a recipe for the movie The Trip to Spain we had a different idea. 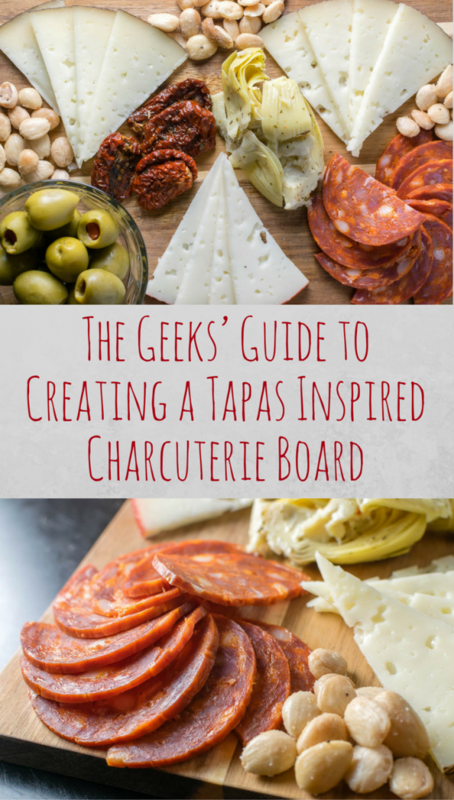 Instead of rehashing a traditional tapas recipe, we’d create a tapas inspired charcuterie board. Now with our guide, you can too! Tapas, in Spanish cuisine, are a sort of snack. They can be cold (such as mixed olives and cheese) or hot (such as chopitos, which are battered, fried baby squid). 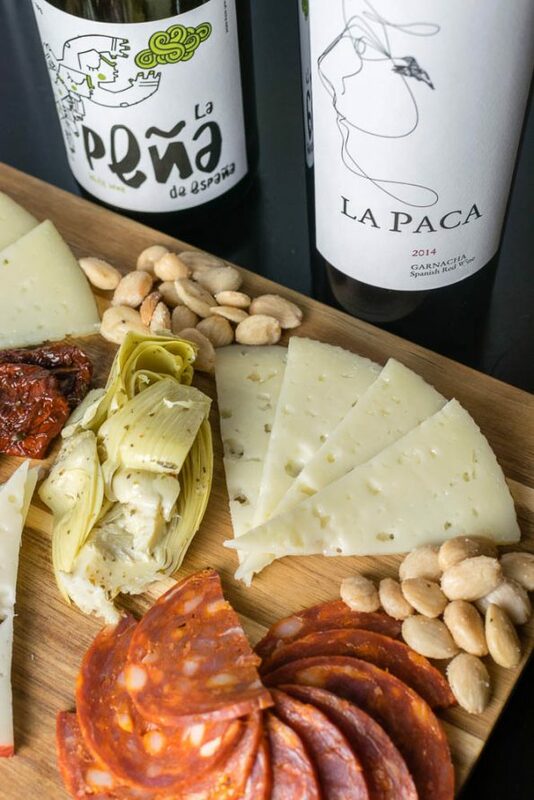 In bars around Spain, tapas have evolved into an entire, sophisticated cuisine. In Spain, diners can order many different tapas and combine them to make a full meal. Tapas have been around for a long time! Before the 19th century, European roads were in terrible condition. Travelling was slow and exhausting (Enough to make anyone hangry). Additionally, at the time most people could not read or write. Inns, called posadas, albergues, or bodegas, popped up along the roads. These inns offered meals and rooms, plus fresh horses for travellers. With so few innkeepers able to write and few travellers able to read, inns offered their guests a sample of the dishes available, on a “tapa” (the word for pot cover in Spanish). Meat- Smoked meats tend to work best for a charcuterie board. Traditional boards use meats like prosciutto and salami. 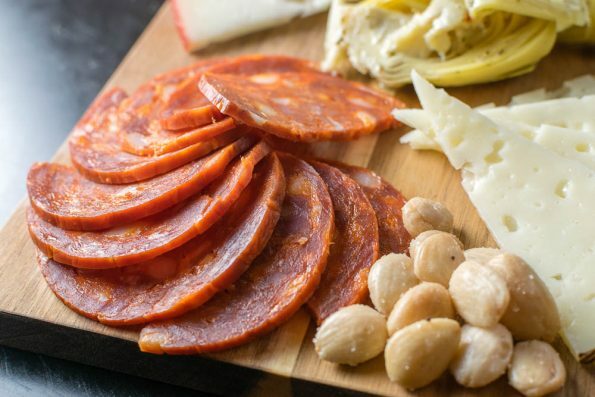 For your tapas board, we suggest chorizo, Iberico ham, and/or Serrano ham. 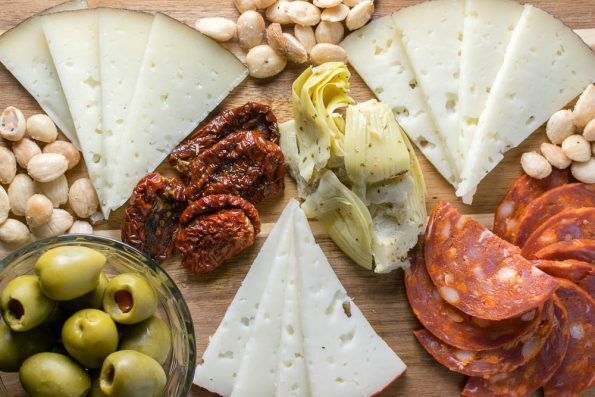 Cheese- There are several different cheeses you can select that will work for this type of charcuterie board. The easiest to find are Manchego, Iberico, and Cabra al Vino. In fact, Trader Joe’s offer an inexpensive sampler of these three cheeses. Accoutrements- Another great part of a charcuterie board are the accoutrements that go with it. 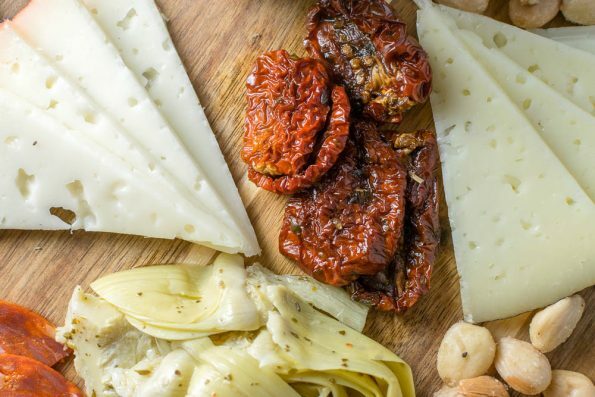 For your tapas inspired board we suggest Spanish olives, marcona almonds, marinated artichoke hearts, and roasted peppers or tomatoes. Sun-dried tomatoes will also work. Spain has over 2.9 million acres of grapes planted. This makes it the most widely planted wine producing nation. However, it is the third largest producer of wine in the world. There are 400 varieties of grape planted throughout Spain. Despite that, 80% of the country’s wine production comes from only 20 varietals. Tempranillo, Garnacha, and Cava are some of our favorites and are very easy to find affordably. For The Trip to Spain’s release we are doing things a bit differently. Instead of giving away screening passes, we are giving away actual tickets. What does this mean for you? Well, instead of seeing a screening, you will get to see the movie at your leisure during it’s theatrical run. We will have 3 pairs of tickets to giveaway and each winner will get an additional gift. The winners will be selected on Monday, August 21st with the movie opening on Friday, August 25th! Good luck! *The Geeks received no compensation to facilitate this write-up; opinions are wholly our own. Movie tickets provided by Allied Marketing. View our Disclosure Policy for more info.